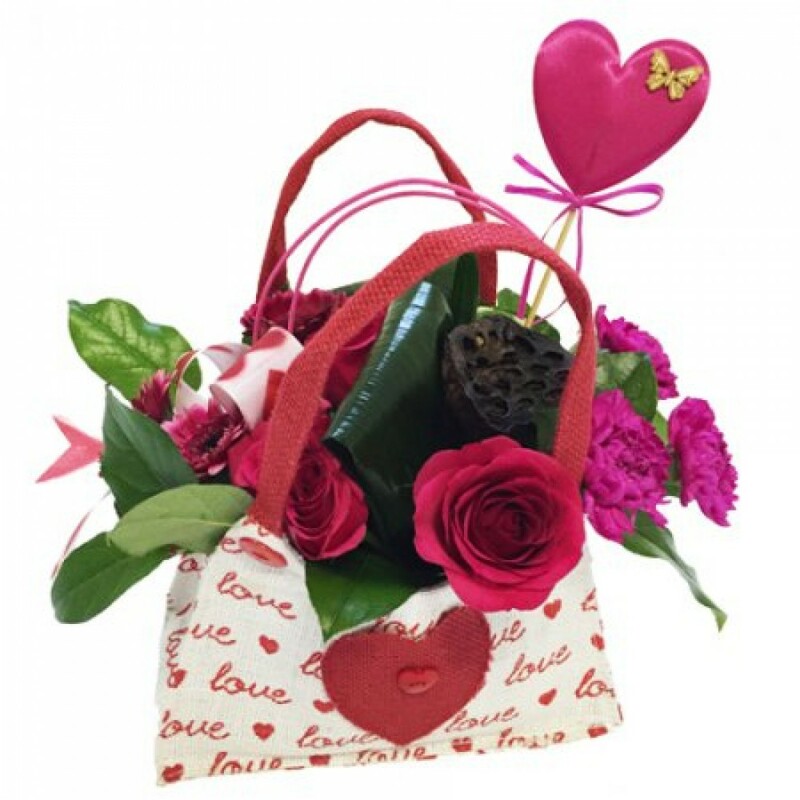 At Bunch N Judys Florist & Gifts we are delighted to present this product available for flower delivery in Cairns an arrangement of roses carnations & mixed flowers. Bag arrangement with assorted blooms that may include carnations roses lotus pod Gerberas etc. some flowers may vary due to availability or a similar substitute will be used. Bags may vary due to availability.